It’s inevitable – there will be days when you won’t be able to take your dog outside for a walk to exercise, for one reason or another. If you don’t have the convenience of a fenced yard or garden, you can’t let your pet out by himself because it’s not safe to do so. He could run off, get dognapped, get hit by a vehicle or it could be just too cold to go out. 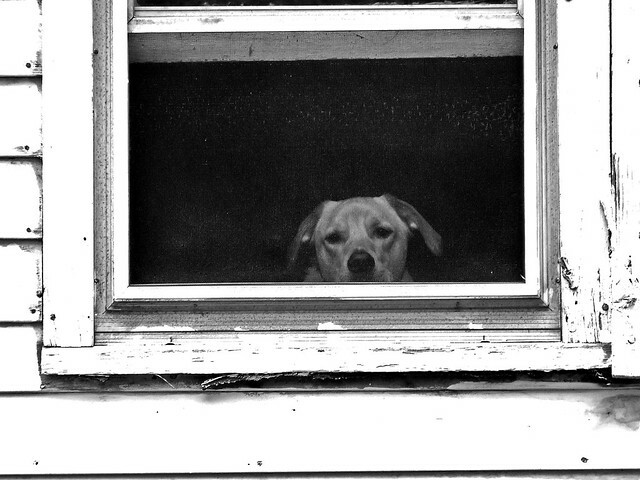 On these days, your dog is stuck inside, except for some brief bathroom breaks. A dog that’s cooped up is also one that’s bored. And a bored pooch is very likely to wreak some havoc. He might decide to take down your home decorations or chew up your Jimmy Choos. Or, he might help himself to the contents of your garbage can. You’ll have quite a surprise when you get home. Have you ever heard of the old adage, “A tired dog is a good dog”? It’s very true. Therefore, you need to find ways to exercise your dog indoors to keep him entertained as well as wear him out. You’re also keeping him healthy and preventing obesity in the process, even without heading outside on extended trips. One simple indoor exercise that I like to do with my always energetic and raring to go Labrador is swat at him. Yes, swat at him. I do it with my hands or socked feet. He thinks it’s a game and certainly enjoys it. My Lab swats back and grabs my hands and feet with his mouth, but he knows better than to sink his chompers in. See to it that your pooch knows the rules before you start the swatting game. When my Lab and I play, we swat back and forth at each other. He growls and does dog things; I make noises. Within 15 minutes, he’s pooped and lies down on the couch. Before you can count to ten, he’s already in dreamland. It’s a very simple technique that works every single time. It might not be for everyone, though, particularly senior citizens. But I suggest you try it out for yourself if you can.